In these days of homes becoming smaller and space becoming a premium, the maximisation of every square meter of space has become a major priority for many people. 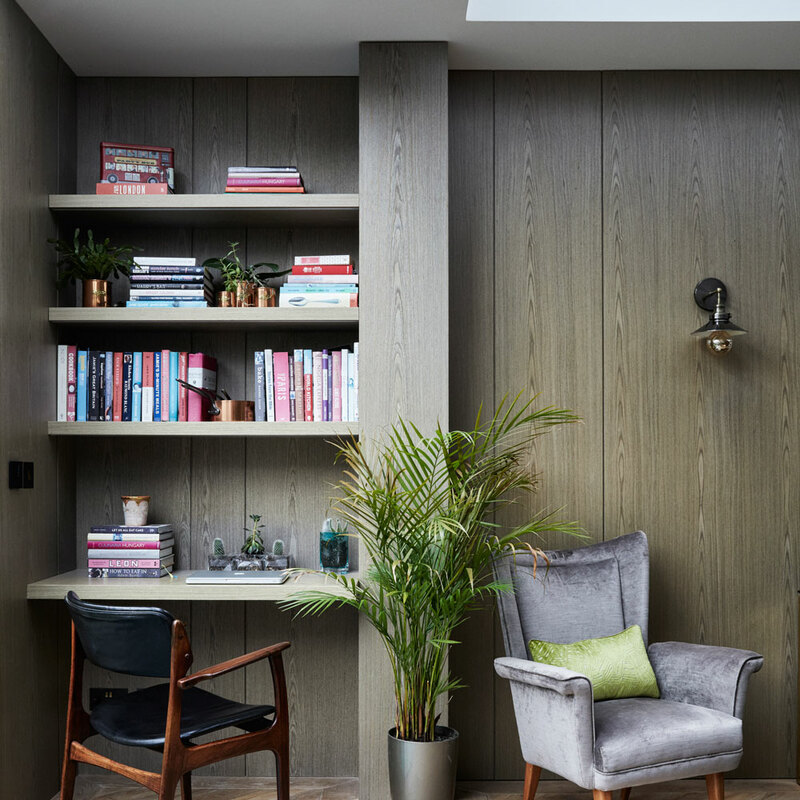 However, many homes will often feature irregular or quirky spaces that can result in the home owner scratching their head thinking what on earth can I do with that space to give it some sense of purpose. If this is you do not fear because you are not alone. The first thing to remember is just because a space seems awkward and is not practically suited to being furnished , it cannot be utilised in a meaningful way. Once you’ve lived in your home for a period of time start to consider important elements that may be missing that could be accommodated in that difficult space. For example, a study nook built into an alcove , a reading corner positioned on an oversized stair landing, a gallery wall under an open stairway, extra built in storage or perhaps a custom shelved home library. To realise your home’s full potential, it must to be designed around your lifestyle and how you live. Usability should be a major consideration, including how to maximise the use of unusually shaped spaces. The job of an interior designer is to listen and understand how their clients live and work to ensure that all of their requirements for day to day living are implemented into the design. A home renovation is the perfect time to reset your thinking in regards to what is missing in your home and how to maximise space , whilst taking care of some of those awkward spaces. An internal staircase often presents a design delemia for home owners. Rule number one is to think carefully on what would make practical sense. 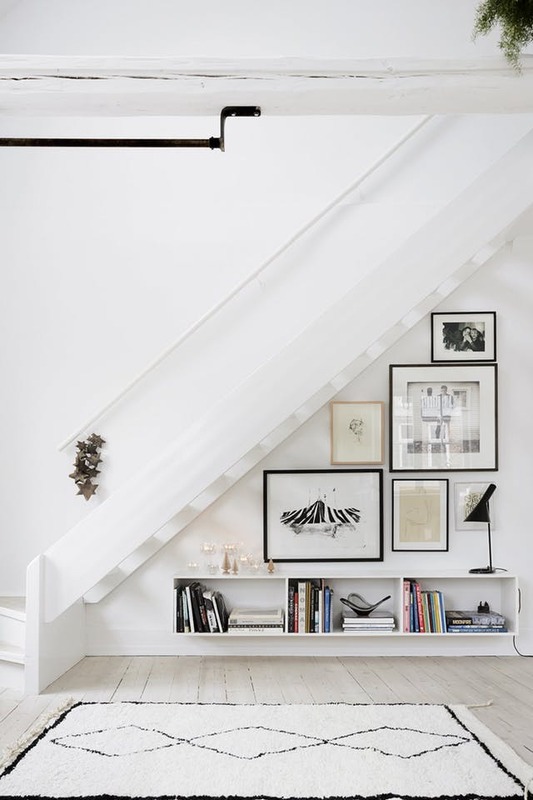 This image via Apartment Therapy demonstrates how a staircase void can be filled with custom joinery, coffee table books and a small gallery wall. We love how the designer has repeated the relationship between the frames, the joinery and the rug borders. It has a great sense of belonging and looks like it was made for the space. A study or ready nook is a great way to take advantage of an awkward space. If you love books, a dedicated space in your home can be a sanctuary to unwind and catch up on reading. It can also double as a great space to work. This is not just great for your homes interior design, it is also perfect for helping you feel more organised and productive. 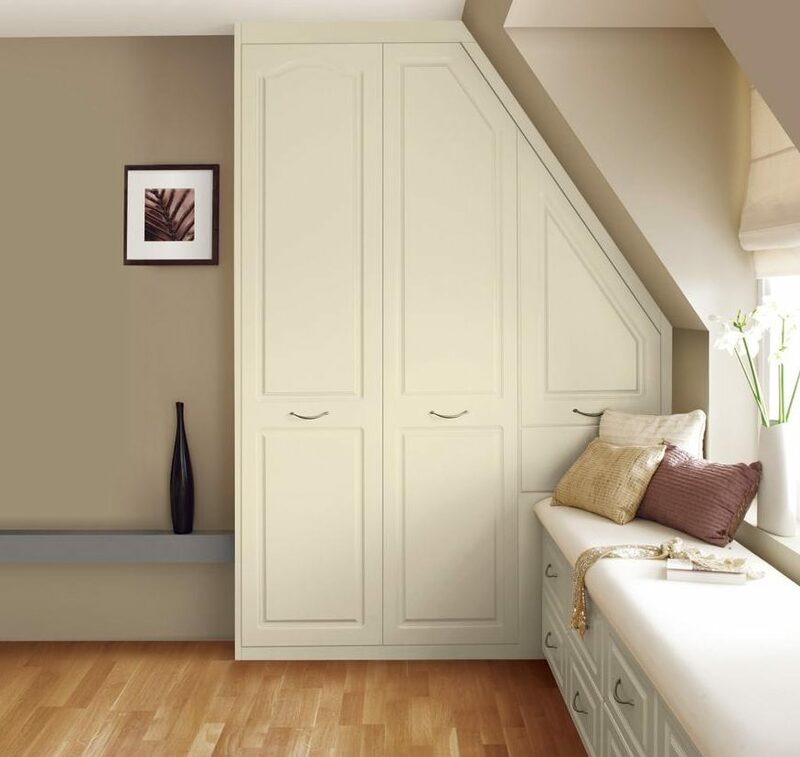 Whether it is extra storage or some additional wardrobe space, you can quite easily build in an angular space to achieve a visually pleasing and practical design solution. In this room a seating solution has been installed to take advantage of the sunlight whilst the angular space has been filled with a wardrobe for additional storage or wardrobe needs. It is perfect for the spare room or guest room, or any quirky spaces you may have at the top of a stairwell. Have you experienced any of these design dilemmas?